Royal Creamware’s perfection and superb artistry is no where better appreciated than in the Masterpieces Collection. 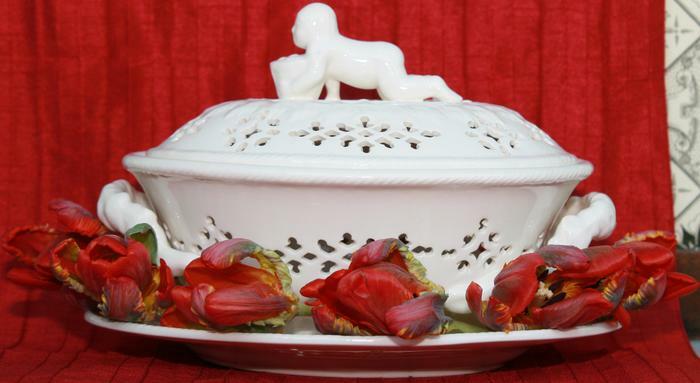 Exquisite pieces capture the incomparable quality of Creamware which has excited generations. Masterpieces are poised to become treasured heirlooms and investments for the future and the range’s features intricate and lavish pieces that illustrate the immense wealth of craftsmanship and heritage possessed by Royal Creamware. Uniquely created to original 18th Century specifications, each Masterpiece is individually hand pierced and delicately coated in translucent glaze. There soft colour, stunning design, weight and size is precisely the same as it was when first produced during the 18th Century as seen for example in the Royal Creamware Figured Terrine. Thus creating a Collection with a considerable appreciating value being highly sought after and widely coveted by Connoisseurs and collectors alike. Indeed Royalty has been a patron of Creamware since its creation and Royal Creamware today continues this rich tradition. Each of the Masterpieces’ pieces is individual and incorporates its own original back stamp personalised with the maker’s initials, paying testimony to its intrinsic value and artistic heritage. From the Masterpieces range, the final remaining item we have is the Figure Terrine. 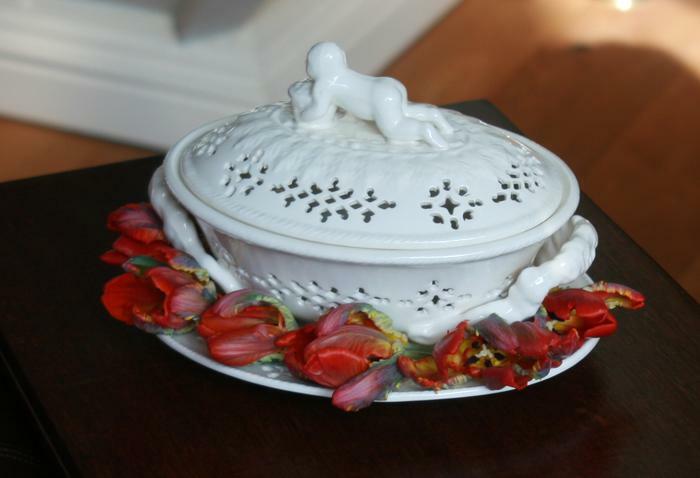 Another view of the Figure Terrine, could you see this in your home!